Edwards Polaris Class LED beacons are NEMA Type 4X and IP66 rated visual signals designed for indoor and outdoor applications. 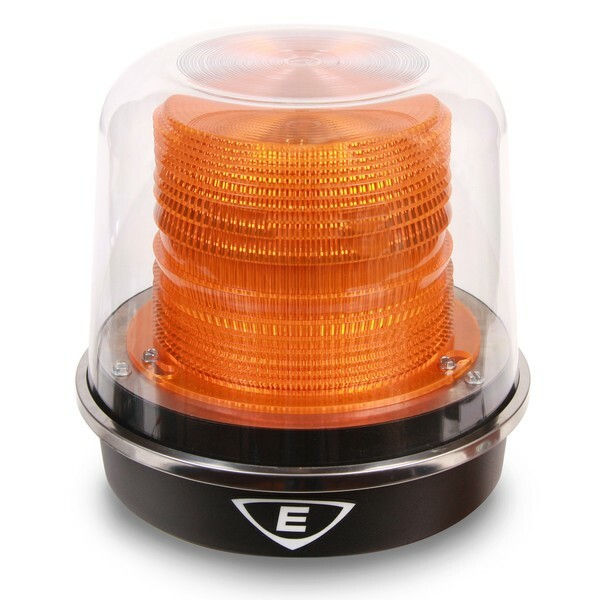 The units are available in Edwards' 94 Series housing in 12V DC, 24V AC/DC, 120V AC and are field configurable with up to seven flashing patterns, including steady-on, utilizing a "Hidden in Plain Sight" (HIPS) switch. The inner, double fresnel lens is made of a high grade polycarbonate and is designed to magnify the ultra-bright LED's inside. A clear, outer, impact-resistant polycarbonate dome offers additional protection against accidental impacts with machinery or falling objects. It also acts as a protective and simple to clean "dust and residue" cover. The Polaris Class beacons are designed to be mounted on 3/4 inch NPT conduit (indoor or outdoor). For outdoor installation and to maintain the NEMA and IP ratings, the beacon must be mounted with the dome facing directly up. When installing the beacon indoors in dry environments, it can be mounted in any position. 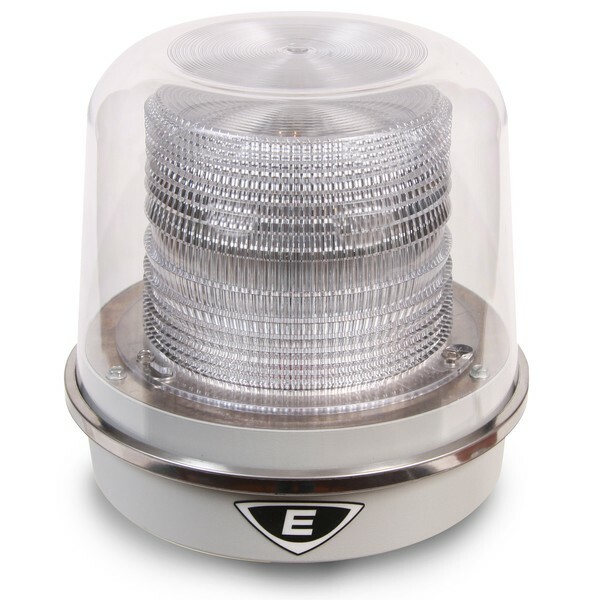 The 94 Series housing has a cast base that can function as a junction box. 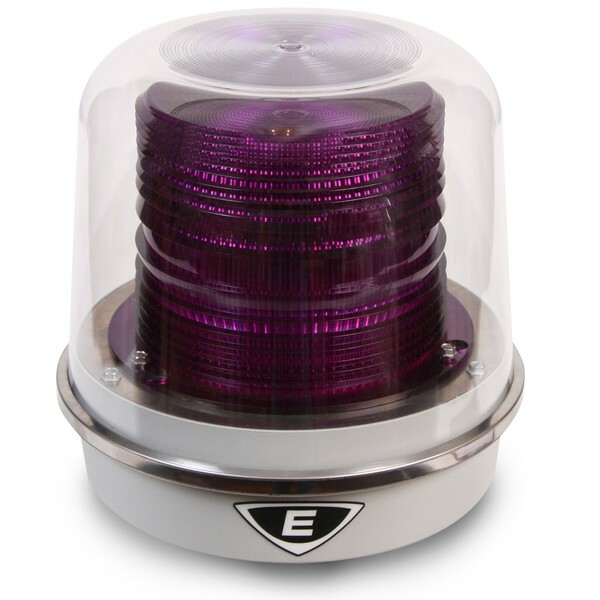 The Polaris Class is designed for any industrial or commercial applications that require the longevity of an LED and the brightness of a Xenon Strobe. These units are very effective in high noise areas where ear protection is worn or audible signals may not be heard.